A senior U.S. general on Thursday sharply criticized Russia's deployment of the S-300 surface-to-air missile system in Syria, saying it was a needless escalation and a knee-jerk response to last month's downing of a Russian military aircraft there. Army General Joseph Votel, who oversees U.S. forces in the Middle East, said the deployment also appeared to be an effort by Moscow to help shield "nefarious activities" by Iranian and Syrian forces in the country. U.S. President Donald Trump has ordered bombing of Syria two times since taking office last year in response to what he says was Syria's use of chemical weapons in that country's civil war. The S-300 deployment "appears to be an effort to cover for Iranian and Syrian regime nefarious activities in Syria. So, again, I think this is a needless, needless escalation," Votel told reporters at the Pentagon. 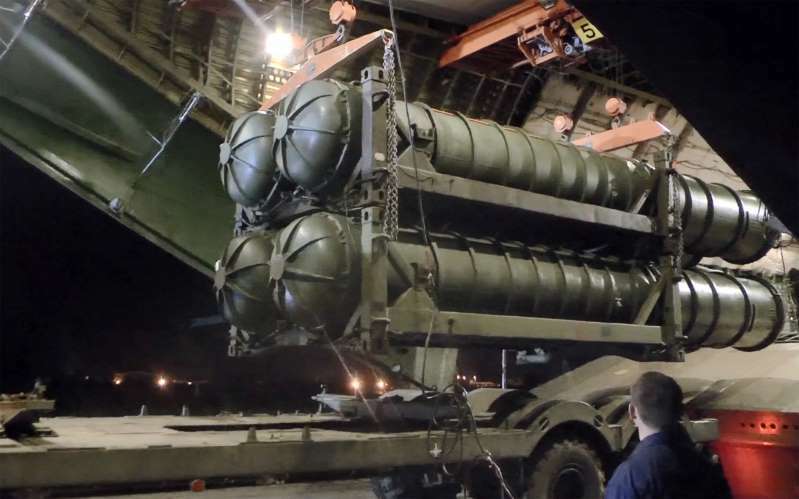 Israeli Energy Minister Yuval Steinitz, a member of Israel's security cabinet, acknowledged that the S-300 deployment was "a problematic matter for us." "And it could be for the Americans too. This is a system which certainly makes things difficult for us and requires that solutions be found," Steinitz told Israel's Army Radio. Votel said the U.S. military was aware of the S-300's capabilities and did not suggest the system's deployment would halt any U.S. military activities in Syria, where U.S. forces are battling Islamic State militants. "Our forces here have been operating under a latent anti-air threat for some time and we will continue to do so," he said. The United States has been ramping up its rhetoric against Iran in recent weeks as it tightens sanctions against the country after pulling out of the 2015 nuclear deal with Tehran. Votel suggested that countries in the region had good reason to be concerned about Iran's activities in Syria. "We believe they are moving lethal capabilities into Syria that threaten neighbors in the region," he said.